I mentioned in a previous post that Camp Bighorn was going to be with us. We had a great time this past week being involved with ministry and experiencing culture in many different ways. 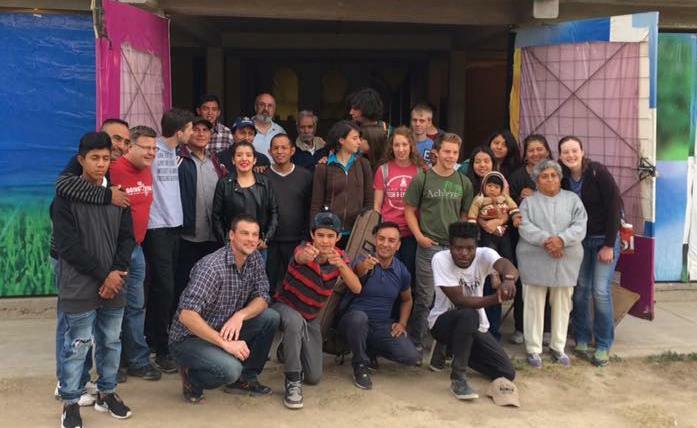 Probably the most impacting of their time was their experience with Mexican host families, as was evidenced in the testimonies and tears at our goodbye time this past Wednesday morning. Bighorn’s Journey program’s tagline is “discipleship through adventure.” So we tried to provide some challenges for them. 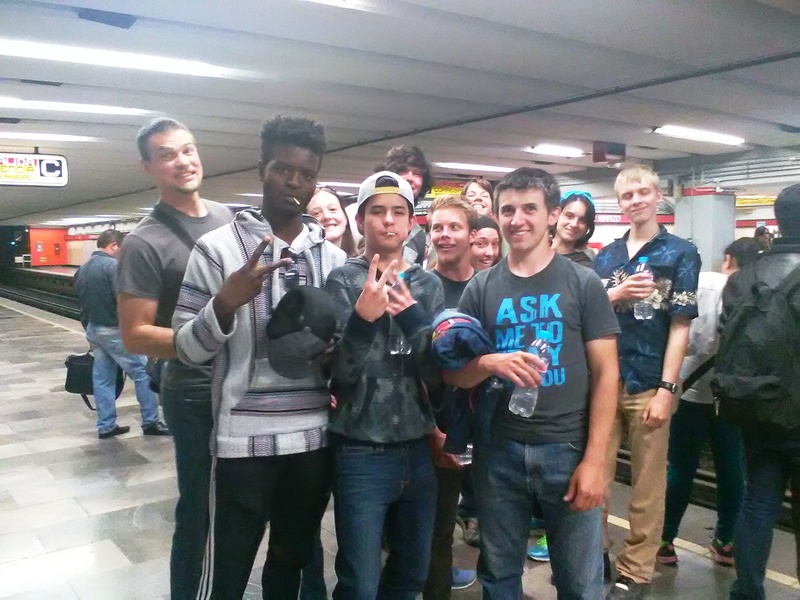 Adventure #1–Navigating Mexico City’s Metro system: After visiting the zócalo, walking Madero street and seeing Bellas Artes, the team had to figure out how to arrive at the Basilica Metro stop, which involved a transfer stop. They managed to get there, but not without some confusion. Most of the students had never been on a subway system before. One of the students mistakenly took his U.S. passport with him. It was lifted from his back pocket…then returned to him! When does that happen??? 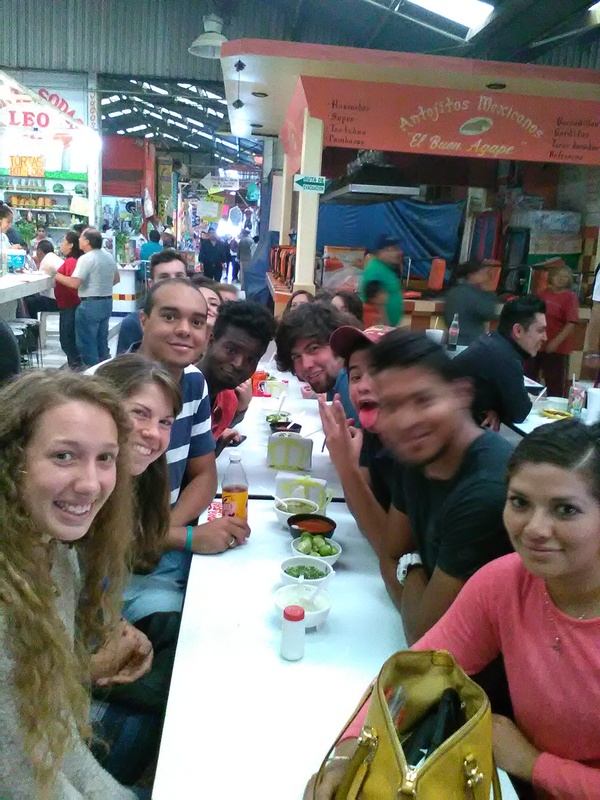 Adventure #2–Eating Weird Food: Friend Samuel from the Jesús María church LOVES to challenge visitors to eat exotic foods while here. So I gave him permission to set up a food challenge for the group. And did he! 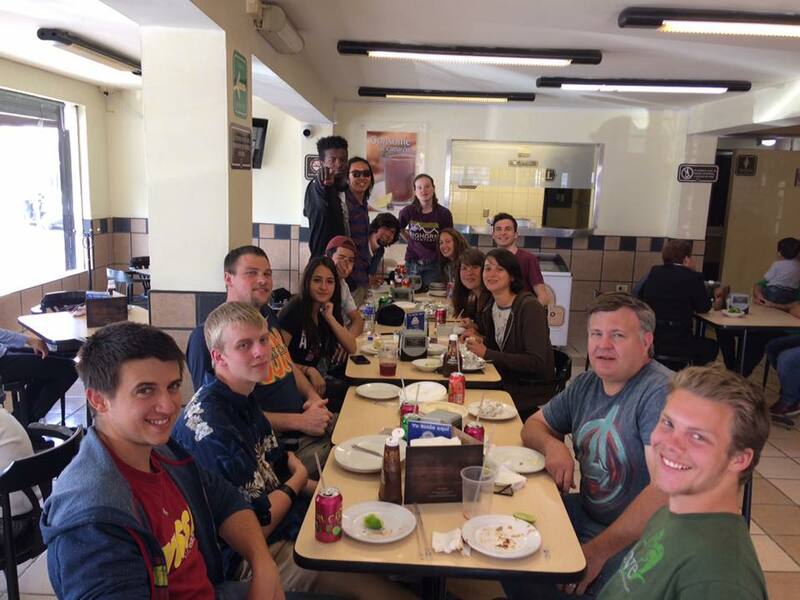 With the help of some other people from the church, the team had the opportunity to eat escamoles (ant eggs and larvae), gusanos de maguey (similar to meal worms), brain and bull testicle tacos, as well as some more normal food, like rib tacos. I’m not making this up! Adventure #3–Taking public transportation and buying assorted foods: This was probably the easiest of their adventures. They had to take a “combi” from the church in Jesús María to Walmart, then buy a list of items, most of which do not even exist in Mexico, like Chilorio, Pritt glue, chile chipotle and cambray onion. Other activities included visiting a rehab center that we support, being involved with a hearing aid/reading glasses outreach and, of course, eating lots and lots of tacos! Great time getting to know their leader, Josh, more and the rest of the group! It was great to have Julian Grymaloski, Wesley Kimmel and also David Gómez and his friend Fernando Font (from Uruguay). Fernando presented his music both at the rehab center and (below) the hearing aid/eye glasses outreach. Take a look at the video and pictures.